Fujifilm has always been open about its plans for future lenses and the development of new optics. The manufacturer’s roadmaps offer a great clue as to what we can expect to see in the future and one lens we’ve been eager to get our hands on ever since the first rumours started circulating is the XF 35mm f/2 WR. As many X-series users will be aware, Fujifilm already has a wide-aperture 35mm lens in its range of XF prime lenses, which begs the question, why the need for another? You’ll instantly notice that the XF 35mm f/2 R WR has a different design compared with the three-year-old XF 35mm f/1.4 R. Although the maximum aperture is a stop slower, the lens is lighter and has been made smaller to make sure it’s a good match with all cameras in Fujifilm’s X-series, including the smallest entry-level models. 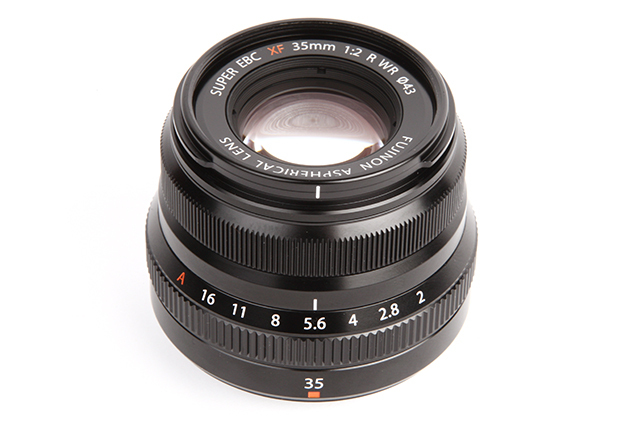 As anyone who owns or has tried out the older XF 35mm f/1.4 R will know, it’ll take something truly special to beat this stellar lens, which at the time of writing has dropped below £300 thanks to a recent Fujifilm cashback promotion. With the XF 35mm f/1.4 R at a tempting price and the arrival of the XF 35mm f/2 R WR, X-series users searching for a 35mm prime lens have a tough decision to make.